Phthalates are a chemical group used to produce plastics. They give them greater durability and are found in hundreds of everyday products, including bottled water, food packaging, and personal care products, such as hairsprays, soaps, nail polish, and shampoos. But according to a new study published in the ACS journal Environmental Science & Technology, Chinese researchers suggest that phthalate exposure could increase the risk of miscarriage, typically between five and 13 weeks of pregnancy. This is the first epidemiological study that provides a possible link among the general population on non-work-related phthalate exposure. For the study, researchers measured phthalate exposure levels in women by testing their urine for phthalate metabolites. They tested samples in 172 women who had healthy pregnancies and 132 women who had miscarriages in China. 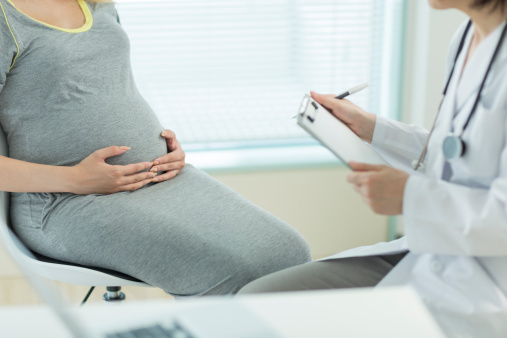 Pregnancy loss was linked with an increase in urinary phthalate metabolites, including di-n-butyl phthalate (DnBP), di-isobutyl phthalate (DiBP), and diethyl phthalate (DEP). The study doesn’t necessarily prove that phthalates cause pregnancy loss; however, it does suggest a possible association. Researchers conclude that further studies are needed, but previous studies have also found an association between reproductive issues and phthalates. In a study published in the journal Environmental Health Perspectives in 2012, researchers found that increased phthalate exposure was linked with higher miscarriage risk during the time of conception, based on data collected from 430 couples from 1992 to 1994. In the U.S., six phthalate substances used to make toys and supplies for children were banned out of concern over the potential phthalate health problems. Mu, D., et al., “Levels of Phthalate Metabolites in Urine of Pregnant Women and Risk of Clinical Pregnancy Loss,” Environmental Science & Technology 2015; 49(17): 10,651–10,657, doi: 10.1021/acs.est.5b02617. “Exposure to phthalates could be linked to pregnancy loss,” ScienceDaily web site, September 2, 2015; http://www.sciencedaily.com/releases/2015/09/150902102649.htm. Toft, G., et al., “Association between Pregnancy Loss and Urinary Phthalate Levels around the Time of Conception,” Environmental Health Perspectives 2012; 120(3): 458–463, doi: 10.1289/ehp.1103552. “National Biomonitoring Program,” Centers for Disease Control and Prevention web site; http://www.cdc.gov/biomonitoring/phthalates_factsheet.html, last updated April 21, 2015.